The Carmelo Anthony story speculated a few days ago. Linking the basketball player to a stripper in Atlanta. When the news broke people thought, how could he cheat when he has a gorgeous wife at home who makes money in her own rights. Reports later found that this was not a one time thing for Carmelo. 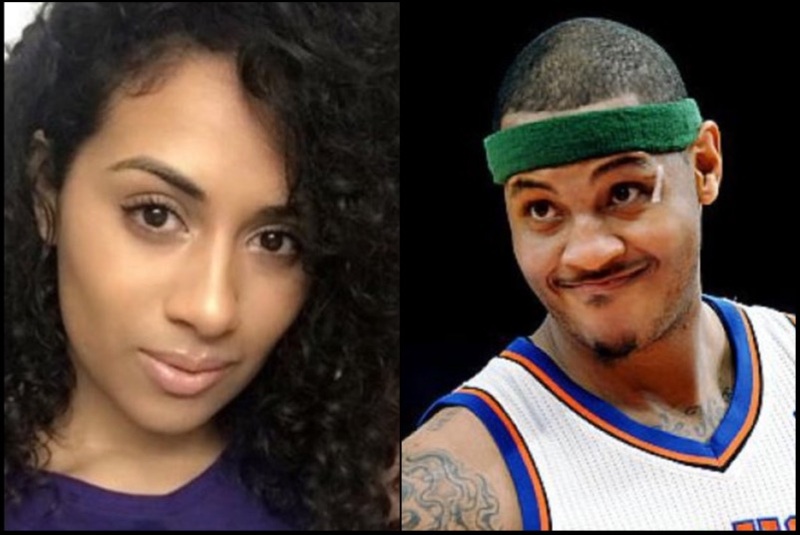 There had been plenty of dates where team players would question Carmelo’s loyalty to wife La La Anthony, and he would justify it by saying ” La La is married, not me” . Read more here . As time weighed in people wondered who this mistress was. Well a Chicago radio station WGCI was able to catch up with the former friend of the mistress who was willing to spill the tea, due to the fact that Mia Burks (the mistress ) accused her of stealing her bank card. Therefore, the friend decided to be a little bit messy and reveal the true side chick.